We are pleased to announce that access to the abstracts of all those who presented on the day of the event (see below) can now be found here. 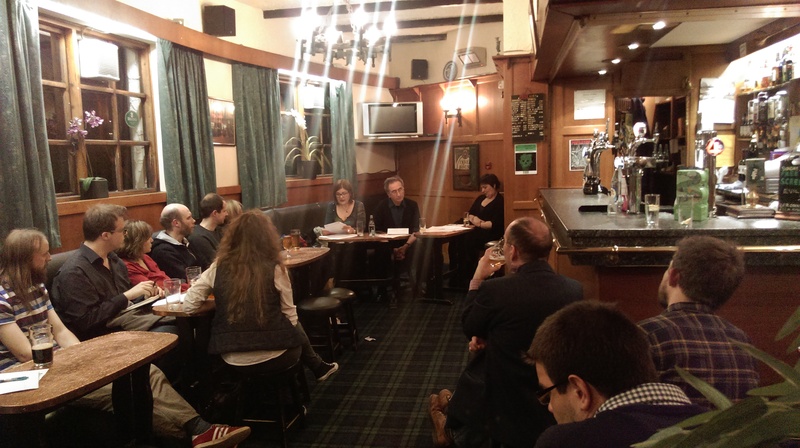 Thanks again to all who contributed in making the first Contemporary Hungarian Studies event a success! Thanks to the support of CRCEES we were able to hold an extra event as part of the conference focusing on the rich literary heritage of Hungary and its present-day incarnations. Hosted by Dr. Zsuzsanna Varga from the University of Glasgow, we welcomed the conference keynote George Szirtes and Dr. Anna Menyhért from ELTE University in Budapest to meet for a discussion around the life and work of one of Hungary’s most famous women writers, Ágnes Nemes Nagy. Considered one of the most important Hungarian poets of the twentieth century who for a time under Communism was forbidden to publish her poetry, Nemes Nagy’ creative work was intrinsically linked to the historical circumstances of twentieth century Hungary. The mythic imagery and eternal questions contained in her poetry masked a subversive historical and political consciousness for the era, placing her voice at the heart of twentieth century European literature. Anna, whose work tries to raise awareness of Hungarian women poets who have been under-represented in twentieth century European historical memory, discussed ideas of Nemes Nagy’s and other women poets’ subjectivities in relation to the traumatic events of twentieth century central Europe; George recounted some of his memories from his annual meetings with Nemes Nagy until her death in 1991 and reflected on his own processes of translating her work. The conversation quickly became a discussion of the fluid possibilities of interpreting her work through gendered or socio-historical lenses, or even whether Nemes Nagy should be defined as a ‘women’ poet at all. 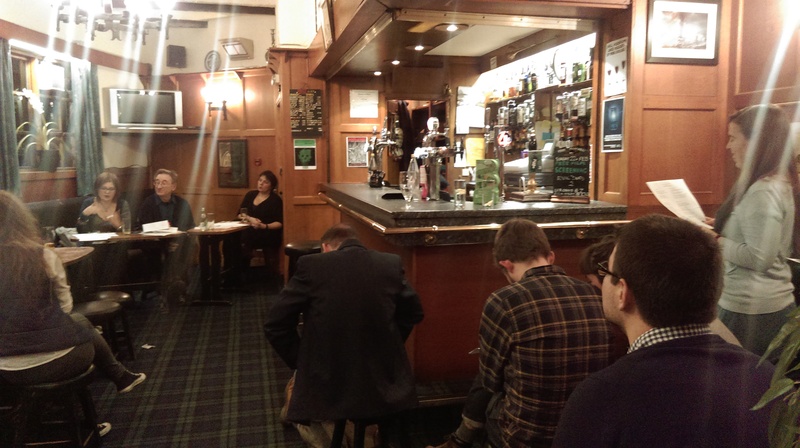 The event was held in the Doublet pub in Kelvinbridge, an informal and well-known pub in the West End of Glasgow. It drew an audience from a variety of disciplines within the local academic community as well as the wider Hungarian community. Anna and George discussed Nemes Nagy and her life, read some of her poems in both English and Hungarian as well as reading some of their own poetry. The event concluded with a lively Q&A session lead by Zsuzsanna with the audience and speakers debating issues of gender, memory and Hungarian literature. We are pleased to publish the finalised conference programme, it’s shaping up to be an interesting day so please do share and attend if you are in Glasgow on 12 February!